In today’s competitive world, preparing your child for Kindergarten may seem overwhelming! Not only is there conflicting information at every turn, but also a sea of products to navigate through! Where do you start and what should you believe? According to developmental psychologist Jean Piaget, early learning progresses from concrete to abstract thought. Young children learn best by manipulating toys and objects using their senses of sight, hearing and touch. As a result, programs that attempt to teach abstract abilities that seem “too good to be true,” probably are. In the long run the child probably will not be proficient in the desired area because the brain was not capable of truly understanding what it was being asked to do. I am a firm believer in developmental play! Babies and children learn best through “play.” It’s our best kept secret as educators. Their little bodies should be running, jumping, kicking, climbing, and throwing. Their hands should be manipulating objects by pushing, pulling, building, dismantling, shaking, throwing, collecting, and feeling. These activities help children develop the thinking skills which are prerequisites for the academic skills needed for Reading and Math! Piaget also believed after age 2 abstract thinking abilities develop as children begin to represent their world through drawings, images and imaginative play. Providing children with pretend play and unstructured play opportunities helps encourage creativity as well as social and language development. Learn more here. In addition, learning is most effective when the child is familiar with the subject and can be actively engaged throughout the learning process. Parents and caregivers who follow the child’s lead are the best facilitators of brain and language development. Encourage language development and reading readiness skills through informal, everyday experiences by immersing your child in language! Talk to him, sing to him and read to him daily AND take him out into the world regularly to interact with new people and see new places. When out with your child, use this opportunity to point out and compare the beginning letters/sounds for things. For example, when in the grocery store you may say, “What kind of snack do you want, goldfish or teddy grahams?” (while pointing to the beginning letters of each word, accentuating the beginning sound). When in a restaurant, include your child in the ordering process by showing him the menu and using it as an informal reading lesson. He will be so proud as he “reads” the menu and orders “all by himself.” At home, teach reading informally through recipes as you bake with your little helper. Again, he will feel an incredible sense of autonomy as he “reads” the recipe and makes the best cookies in the world, with mom’s help of course. Involving your child in these informal everyday activities teaches him that reading is for a purpose: to communicate messages. Read to your child daily from a variety of Picture books, Predictable Books, and Wordless Picture Books. Predictable books are wonderful resources to use with pre-readers or early-readers. The stories are short and include few words on each page so that the child can retell the story by looking at the pictures. In addition, these stories are “predictable.” They accomplish this by using various rhyming patterns and/or repetitious phrases. This predictability actually helps the child learn to read by making him feel successful. At first the child may simply memorize the book but this is okay because he will feel successful, which is the first step. As he repeatedly “recites” the story, he will eventually begin to recognize the sight words (see below) as well as some simple words like color and animal names. If he gets stumped he can usually figure out a word by looking at the pictures since they will always coordinate with the print. For example, the page may be talking about a brown horse and there will be an accompanying picture of a brown horse. The child may know the word brown and it’s accompanying sight words and can figure out the word “horse” by looking at the picture and the beginning sound. Eventually he will know the word horse and the sight words automatically. This scenario describes early Reading success. Last but not least, encouraging early writing and incorporating print into your child’s everyday life is one of the best ways to lay the foundation for early literacy. 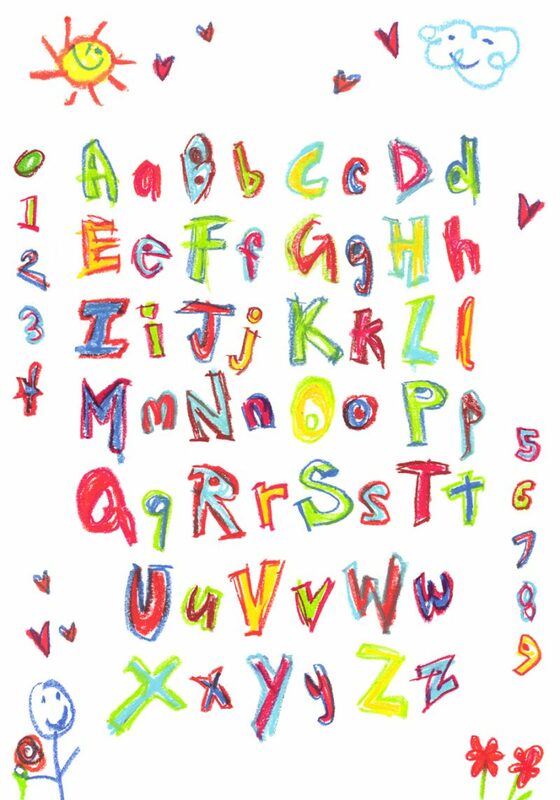 Since all children delight in drawing, what better way to begin your child’s literacy journey? Writing helps young children learn to read as they sound out words to communicate their messages. Your child’s early scribbles will soon become more “recognizable” as he puts his ideas on paper. Next he’ll try to sound out beginning sounds as he labels his drawings. Soon he will start writing the beginning sounds of each word in his “sentence,” and with these clues, along with his Picasso rendition, you may even be able to figure out what he is trying to communicate! Wait until you experience the excitement in his eyes as he shows you his masterpiece and “reads” you his story: it’s absolutely priceless! ***quick disclosure – most kindergarten readiness skills can be learned through developmental play and by interacting with you, other people, and the world of print as stated above. *Child knows if he’s a boy or a girl and can state his first and last name and age. *Child knows parent’s first and last name. *Child knows how to interact with other children, and how to communicate his needs. *Child is independent with personal care such as washing hands, using the bathroom, and dressing. *Child is secure without parent and separates easily. *Child can match two like pictures in a set of five. *Child can categorize objects that are same/different by shape, color, and size. *Child can recognize and copy patterns when manipulating objects. *Child can complete simple puzzles and knows at least 5 colors. *Child uses child sized scissors, and writing and drawing tools with control and intention (fine motor development). *Child can copy the following correctly; square, circle, straight line. ***Readiness Indicators have been adapted by the National Center of Learning Disabilities, Inc., with permission from the Arkansas Department of Human Resources, Division of Child Care and Early Childhood Education. This list was found on the education.com website. Must have products to help prepare your child for Kindergarten! Please see Top 40 Must Have Books and Toys for Your Inquisitive and Imaginative Preschooler for my recommended Picture, Predictable and Wordless Picture books, manipulatives, and pretend play must haves. Sight words are words that a child can simply recognize from sight (memory) and doesn’t need to sound out (many cannot be sounded out). 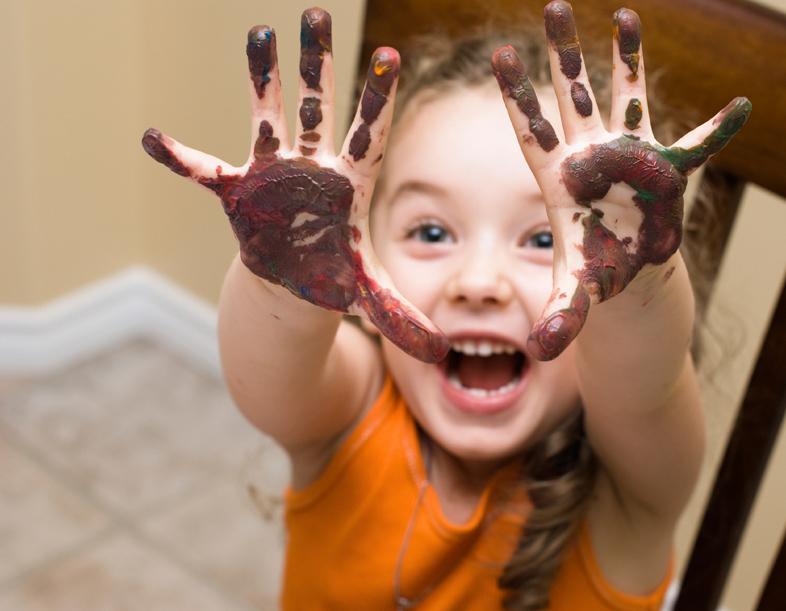 Preparing for Kindergarten should be fun, not stressful! Let your little ones move, move, move, and play, play, play! Immerse them in language, give them daily writing opportunities, encourage them to explore and question their world and they will be ready!